Guilty Bangles was created in 2012 by myself and my partner from our home in Devon. We are a UK based online bangle boutique dedicated to selling a stylish range of 925 Sterling Silver Bangles. 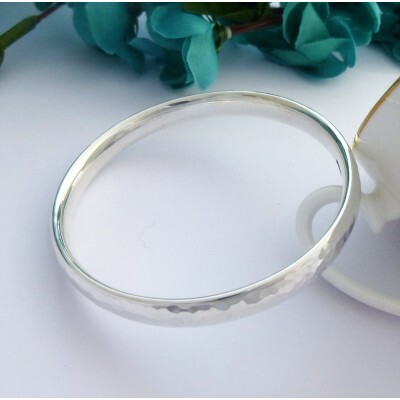 We wanted to create an online shop providing our customers with a wide collection of silver bangles offering a quality product with a quality service. 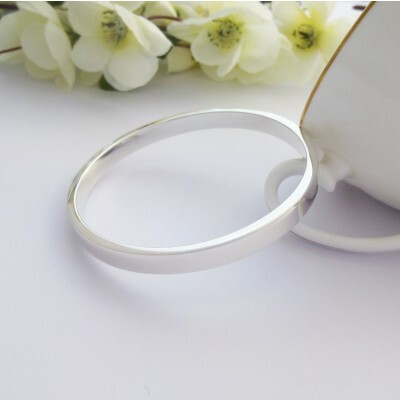 We also felt the need to provide a personal service to our customers, when you speak to us, we understand every one of our products and can provide you with advice to help you choose the right bangle, we offer a personal and friendly service and we want to help you so if you ever have any problems, please call us! Guilty is alwayscontinuously updating and evolving our range of silver bangles to keep up with the latest fashion trends and by listening to what our customers want from their silver bangle. Our collections have grown and evolved over time, now we are probably the largest independent online retailer of sterling silver bangles in the UK. We sell a range of bangles that have been designed and created exclusively for Guilty Bangles by our talented silversmiths and bangles that we have personally selected from our UK based suppliers. One of the areas we very quickly identified that needed a quality range of 925 Sterling Silver bangles was in the Men’s sector. After a lot of research on sizing and design discussions with our silversmiths, we came up with a very popular silver torque collection for Men which has grown to include Cufflinks, Bracelets and Necklaces. We are also extremely proud of the success and demand of our small and large bangle size ranges. Again both of these collections have evolved from listening and talking to our customer and understanding their needs. 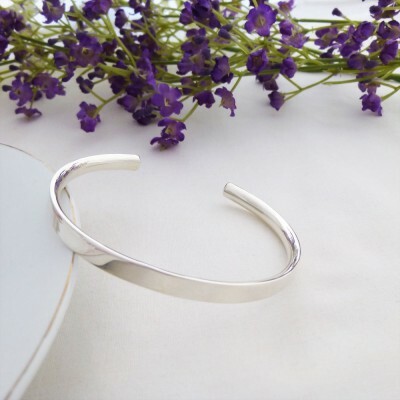 We worked closely with our silversmiths and customers to create designs and sizes of sterling silver bangles to fit ladies who require either a smaller or larger size bangle without compromising on quality and style. More recently we are now able to offer our customers with a personalised engraving service allowing you to create a bangle that is meaningful to you or a loved one. An engraved bangle with a personal message can make perfect gift for a friend or loved one. A Guilty Bangle makes a wonderful gift for Christmas, Birthdays, Anniversaries, Valentine’s Day and special occasions. We aim to provide a fresh, varied and evolving collection of 925 sterling silver bangles that are of high quality and come with great customer service. Finally, if you were wondering about the name, to cut a long story short, my partner was in a moment of deciding where or not to go to the pub when he might better have stayed at home. He decided on the former and thus, he was Guilty, an inspirational moment and our brand was born! We love all of our bangles and the one question we are always asked is for our favourites, so here they are for you below, we hope that you love our collections and support us as an indepndent reatiler. 1: The Alexa solid silver torque bangle, a high quality exclusive bangle, simnple in design and great value for money. 2: The Anna ladies silver bangle, again solid and with a simple rectangular cross section, edgy and perfect to wear day or night! 3: The new Kelly solid hammered bangle, we fell in love with this instantly, quality and weighty with a soft hand hammered exterior and smooth interior, a very unique bangle!